My first Morgan Matson book and it certainly won’t be my last. A tale of friendship, love, and learning to be brave. It was Sloane who yanked Emily out of her shell and made her life 100% interesting. 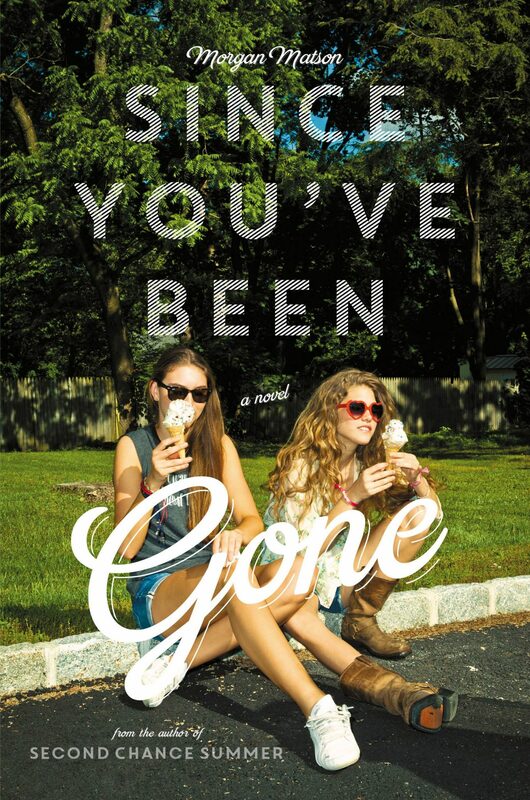 But right before what should have been the most epic summer, Sloane just… disappears. All she leaves behind is a to-do list. I had pretty high expectations when I picked up Since You’ve Been Gone. I’d heard great things about it, and with a 4.17-star rating on Goodreads I knew there were lots of readers out there who’ve loved it. In the beginning, though, I began to wonder why it had been rated so highly. I wasn’t at all sure that it was going to be my cup of tea – I found it to be quite slow paced and I wasn’t hooked. A few chapters in, everything changed for me. I realised that the time taken over this novel is what makes it so great. At 464 pages, it’s a reasonably long book for a YA, but its length means you really get to know its gorgeous characters. I loved the concept, and think a list like Sloane’s would do me the world of good. To begin with, Emily was extremely hesitant about Sloane’s list of 13 daunting tasks. She’s always been shy and quiet and careful, hiding in Sloane’s larger than life shadow. But you’ll witness Emily slowly but surely build up her courage, and in doing so she discovers a side of herself she wasn’t sure existed. I felt like I could really relate to Emily, and I think that’s part of why I found the first few chapters so frustrating. Seeing a personality so close to my own reflected on the pages like that was uncomfortable to read and highlighted some truths I wanted to ignore. But watching her come out of her shell and learn to love herself was uplifting, and I felt absolutely inspired. A tale of friendships, first love and learning to be brave, Since You’ve Been Gone certainly won’t be the last Morgan Matson I read. It was one of my favourite books of 2017, and I’d highly recommend it – it’s the perfect summer read.